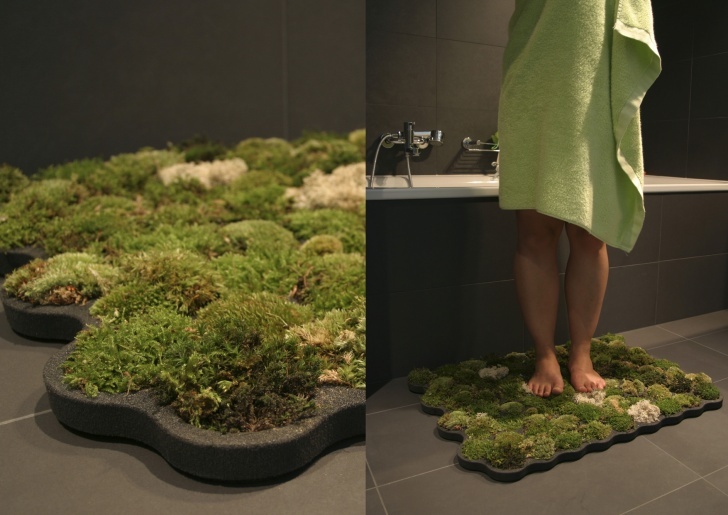 The Moss Carpet | 10 Coolest Bath Mats For Your Bathroom! Real grass in your bathroom! Walking on the grass increases circulation of blood. This is a good reason for purchasing the Moss Carpet. It is made of forest moss, ball moss and island moss.